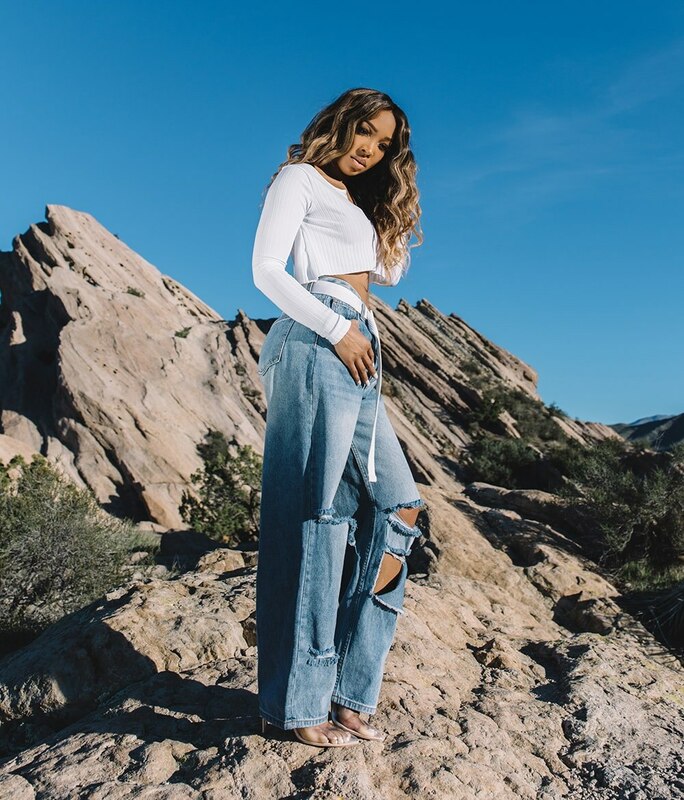 Malika Haqq has got those good jeans. New season calls for new denim. Introducing our true blue update to head into the great outdoors in. Our denim drop has the everyday staples your wardrobe needs whatever adventure you’ve got planned. Look the all American dream in jeans for the everyday and outerwear styles for AM and PM. From the go-to skinny jeans in body hugging fits, figure-flattering high waisted styles and denim outerwear to dress up or down. Wherever your denim takes you, this is the edit you need.